Feed a length of wire (make sure it has no sharp areas) down from the top tray (located over the driver right shoulder behind the seat) to where the tube has come detached (if your working alone bend the top of the wire so it does not fall below the tray) Feed the detached tube over the wire from under the car (take care not to damage the small flap at the bottom of the tube) Bend the wire so it holds the tube at the bottom. From the top slowly pull the wire until the top of the tube is adjacent to the connecting point below the tray. You may need to locate the tube to the right place. Then pulling the wire again until it is in position. Any update on the pics, as I am looking to this over the winter. I had to reattach my dislodged tube and came across this method but I found this immposible to accomplish on my car - primarily because the tube was such a tight fit on the top tray. It could only really be fitted directly by hand. So I just removed the top tray, fitted the tube whilst they were both off the car, fed the tube with tray attached from the top and wiggled it a bit till the tube came out from the bottom. Fixed the tray then reattached the rubber bung at the bottom. That's unusual not to be able to get it on at the top although it is a bit of a fiddle. I have never had a problem that way either Flea,as the tube top will be the right size from living on the tray for so many years(memory fix), remember it does not go straight up, it goes through the body work on a angle(bent), that is why you need the wire as a duide. 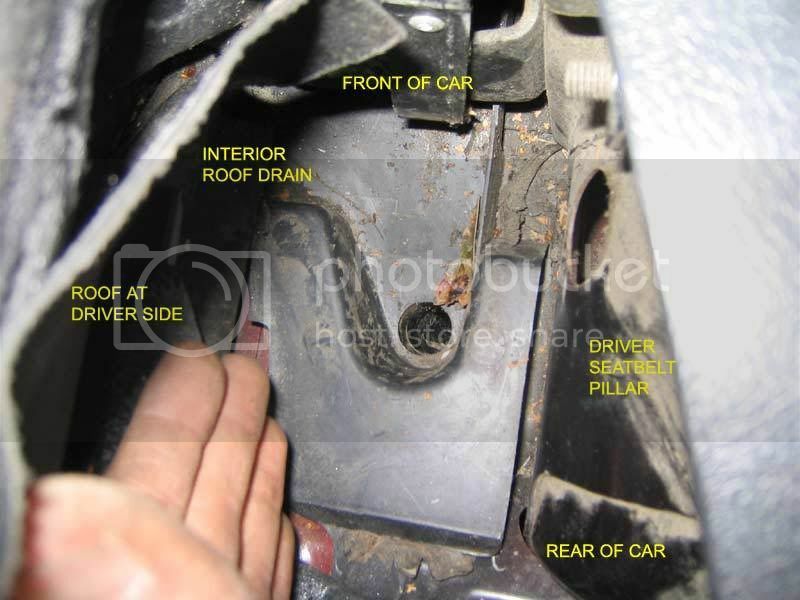 You must remove the rubber grommet from where it exits through the floor pan, so you have the most amount of room to re-fix it, re-fit the grommet after it is back in place. If it is dry, use a little water and soap mix to act as a lube on the tube end that meets the tray,and it will dry out in place. I use the early whip mast, perfect for the job and for rodding/cleaning them out with it being S/steel and a ball on the end. Could I please ask if someone could post a picture of where the drain hole entry is? 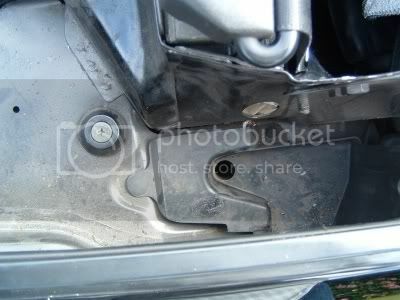 I spent 15 mins looking for a hole near the seat belt anchor and could only see a rather large hole about 2cm from the base and another with a grommet in it. It's normally covered with a bit of carpet. Many thanks for the rapid response. I guess I will have to dig about a bit under the carpet.